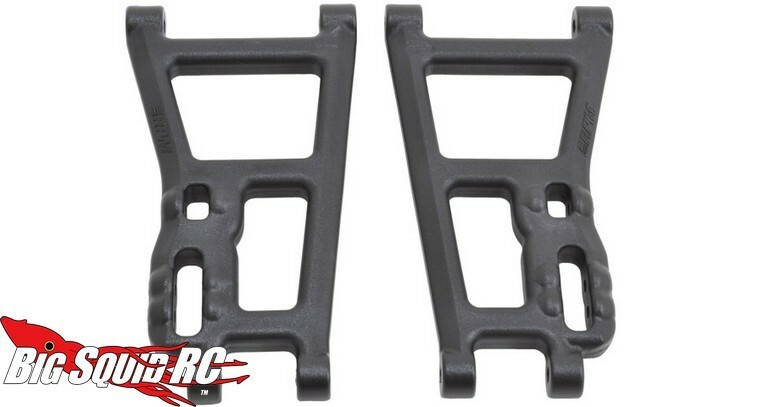 RPM Rear A-arms for the Helion Dominus SC, SCv2, & TR « Big Squid RC – RC Car and Truck News, Reviews, Videos, and More! To help beef up your Helion Dominus SC, the good folks over at RPM RC are now making upgrade Rear A-arms. These are said to be the strongest a-arms available and are made from RPM’s engineering grade nylon. Oversized bosses around both the inner and outer hinge pins keep you from ripping out the arms from the pins, while tolerances have been tightened to reduce unwanted slop. The RPM rear arms have a street price of $12, a part number of #70872, and you can hit up This Link for more details over on RPM’s website. Click Right Here to read more RPM news on BigSquidRC.